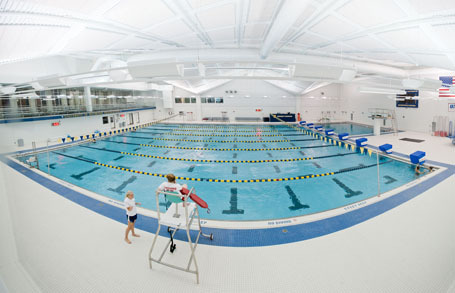 In March 2011, the University of Rochester retained Counsilman-Hunsaker to evaluate the existing aquatic facilities at the Speegle-Wilbraham Aquatic Center. The purpose of the evaluation was to determine the current lifecycle position of the facility and to explore options to enhance programmability and function while addressing maintenance challenges. Following completion of the facility evaluation and review of options, the team of Counsilman-Hunsaker and Cannon Design were selected by the university to spearhead the renovation project. 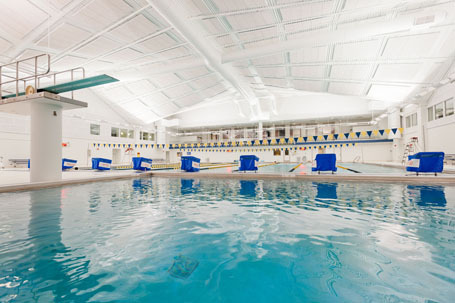 The Speegle-Wilbraham Aquatic Center reopened in October 2012 following a major renovation to the 6,200 sq. 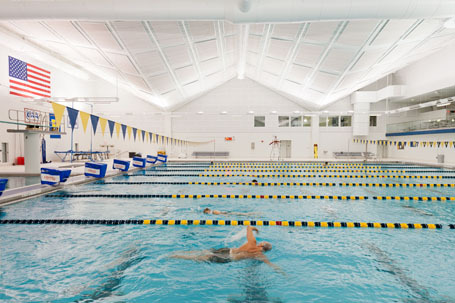 ft. eight lane 25-yard by 25-meter lap pool along, with the 600 sq. ft. dive area.